"Campari Previews Prominent Emerging Visual Artists and Partners with Legendary Organizations"
Continuing its longstanding tradition of arts patronage and commitment to bold expression, Campari, the one-of-a-kind spirit, announced year-long programming to support the visual arts and emerging artists. Campari�s programs include a continuation of its successful House of Campari with visual arts exhibitions in New York, Los Angeles and Miami; REPRINT, a curated compilation of artist-made magazines; and Campari Talks - an artist discussion series with Artists Space in New York, REDCAT in Los Angeles and Yerba Buena Center for the Arts in San Francisco. House of Campari is a cultural destination highlighting and supporting the most talked about emerging visual artists in a variety of media including: painting, photography and sculpture and drawing. �The title exhibition �25 Bold Moves,� curated by Simon Watson and Craig Hensala of Scenic, features 25 visual artists from 25 of the most visionary galleries offering fresh creative expression. Each participating artist will have had their first solo exhibition in the past season or will have it in the upcoming season. The first exhibition will feature artists from New York galleries and the Los Angeles exhibition will feature Los Angeles-based artists. House of Campari will also present a series of events with non-profit arts organizations and high-profile media partners including fiction readings, film screenings and discussions. Additionally, House of Campari will showcase a cocktail lounge styled with modern furnishings provided by Design Within Reach. House of Campari New York will run May 5 � May 21 at 382 W. Broadway Ave. in Soho with free public gallery hours Tuesdays through Saturdays from 12 p.m. � 8 p.m. and Sundays 12 p.m. � 6 p.m. House of Campari Los Angeles in Venice will run July 14 through August 13 at 1224 Abbot Kinney Blvd. 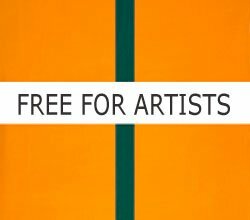 with free public gallery hours Fridays and Saturdays 12 p.m. � 8 p.m. and Sundays 12 p.m. � 6 p.m. In December, House of Campari will travel to Miami for Art Basel. Adding to House of Campari�s ongoing commitments with top institutions and artistic organizations is Campari Talks - a year-long event series inspired and conducted by leaders of New York, Los Angeles and San Francisco�s visual arts communities. Campari has partnered with Artists Space in New York, The Roy and Edna Disney/CalArts Theater (REDCAT) in Los Angeles and Yerba Buena Center for the Arts (YBCA) in San Francisco. At each event, emerging artists will engage established artists, curators, or gallerists in discussions on topics including artist practices and the art world, as well as studio and business concerns. Campari Talks features noted leaders of the visual arts community including Carolee Schneemann, Mathieu Briand, Lauri Firstenberg, Gabriel Kuri, Ruben Ortiz Torres, Ken Lum, Charles Gaines, Ren� de Guzman and Christian Rattemyer. In addition, Campari sponsors over 100 gallery openings, events for non-profit arts organizations and other visual arts community events throughout the year. Distributed at all the Campari-themed experiences is REPRINT - a Campari Press printed compilation of distinctive, artist-made magazines from around the world. �REPRINT features contributions from publications known for their bold points of view and focus on fresh, new talent, including Arkitip, aRUDE, K48, Kilimanjaro, Lilacmenace, MSTRMND, and zingmagazine.� REPRINT is only available in limited quantities and exclusively at Campari events. For more information, including a detailed schedule of events, please visit http://www.campariusa.com/.